The Conway Department of Sanitation provides residential garbage collection to all residential addresses in good standing with Conway Corporation utilities. This service includes one 96-gallon green curbside garbage cart with weekly collection. Curbside collection occurs Tuesdays through Fridays. Garbage collection is a required utility for all residential accounts within the City of Conway. A fee of $17.00 plus tax is included in the resident’s monthly Conway Corporation billing. A residential account with Conway Corporation must be active before collection can begin. With your utility garbage collection, residential recycling and yard waste services are available at no additional charge. 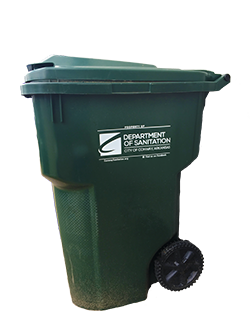 Need to request a new or replacement green garbage cart for your home? Click here. Do you live outside the Conway city limits? If yes, contact the Faulkner County Solid Waste Management District for collection requirements and processes. The Conway Department of Sanitation provides collection services only within the Conway city limits. Curbside carts must be placed at the curb no later than 7:00 a.m. on your regular collection day. Curbside carts must be placed on a flat surface no less than 3-feet from all obstacles (e.g. other carts, utility poles, mailboxes, vehicles, holiday décor, etc.) and within 2-feet of the curb. Place the cart where it opens toward the curb/street and the handle is toward the home. Any garbage placed outside of the green cart WILL NOT be collected curbside. The cart lid must close completely. Do not overfill your cart! The Conway Department of Sanitation operates as regularly scheduled on most major holidays. However, special city-observed holiday scheduling may still occur throughout the year. Download our FREE Conway Recycle Coach app ( iPhone / Android) to stay up-to-date with holiday announcements and collection information. City of Conway residents may bring general household garbage to the city landfill at no additional charge. See our Quick Guide to Household Waste Disposal for easy reference! For bulky or hazardous items, residents must bring these items directly to the city landfill. This includes, but is not limited to: wood, bricks, pressurized containers (e.g. propane tanks), paint (must be dry), electronics, fluorescent lighting, batteries, appliances, and furniture. A nominal fee may apply. Liquids WILL NOT be accepted. To ensure accurate rates, we will verify all addresses. Your government-issued I.D. is required and either your Conway Corp bill or the ready Conway Corp app ( iPhone / Android). Payment will be made on exit. Cash or check only will be accepted. 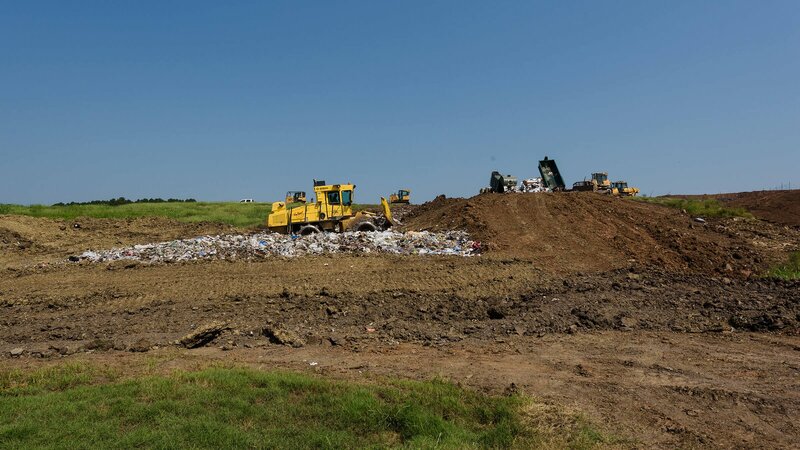 The city landfill is also open to greater Faulkner County residents. Additional charges will apply.